An overtime lawyer stands up for the rights of employees to ensure that workers are paid for the hours they work. Fortunately, an experienced overtime attorney trained in employment and wage law is knowledgeable of this system and understands the rights that employees have with regards to overtime compensation. In Pennsylvania, it is legal for employers to require their employees to work overtime hours, but state and federal wage laws establish a higher rate of pay for each hour of overtime work. Generally under Pennsylvania law, employers must pay their employees at least one and one half times the employee’s normal rate of pay for each hour worked in excess of forty hours over the course of a workweek. As such, overtime equals 1.5x the normal rate of pay. When it comes to overtime, employees tend to ask a couple of common questions. Most of these questions deal with eligibility and pay. 1. Can My Employer Refuse to Pay Overtime because I Receive a Yearly Salary instead of Wages? Employers must pay overtime wages for each workweek on a weekly basis, regardless of whether the employee’s normal pay is received monthly or yearly. Some employers try to avoid paying their employees overtime by paying their employees a yearly salary instead of wages. As long as you are working more than forty hours per workweek and you are a non-exempt employee, the law requires that you receive overtime pay in the appropriate amount. 2. Is It Legal for My Employer to Give me Paid Time Off instead of Overtime Pay? Employers must compensate their employees for overtime in the manner laid out by state and federal overtime wage laws. The law provides for non-exempt employees to receive time and a half. Nothing less and nothing different is legal. 3. Can My Employer Refuse to Pay Overtime because they say I am Exempt from Wage Laws? While it is true that there are certain categories of employees that are exempt from federal and state labor and wage laws, employers sometimes deliberately or accidentally misclassify their employees. Sometimes the different layers of statutes and regulations make it very difficult to answer whether a particular employee is exempt, but an experienced employment law firm can help. Bottom line: don’t just take your employer’s word for it, ask an overtime lawyer. What are Some Common Scenarios in which Employers Violate Overtime Wage Laws? An hourly or non-exempt employee is only paid a “straight” 40 hours and all other time is ignored. An hourly or non-exempt employee works over 40 hours and is compensated at an amount less than the required overtime rate. An hourly or non-exempt employee is told by the employer that overtime work will not be permitted or paid without advance authorization. Overtime hours are worked but go unreported. A salaried employee who is misclassified as exempt works over 40 hours and is not paid the appropriate amount. An employee makes a request, complaint, or demand to be paid overtime and is terminated or disciplined because of that request. An employer does not include in hours worked time that an employee spends waiting for work and is without a task, but is still required and allowed to be on the job. If you believe you fit into any of the above categories, contact an overtime lawyer to discuss your options. You may be able to collect overtime pay from your employer under various overtime wage laws and statutes. Overtime is confusing. Sometimes you’re eligible and sometimes you’re not. Meanwhile, no one seems to know what rights the employer has and what rights you have. More than ever, questions are floating around about overtime wages so keep reading to get those questions answered. What Should I Do About Miscalculated Overtime? The Fair Labor Standards Act (FLSA) standardized employee compensation for overtime. However, every law offers a space where loopholes can be found and exploited so that an employee is not receiving what is rightfully his or hers. Call a lawyer to work beside you so you receive your rights under FLSA. Read What Should I Do About Miscalculated Overtime? Which Work Hours Count toward Overtime? Generally, all hours spent working in excess of forty hours per workweek are considered overtime if the employee was required to work during that time as part of his or her normal duties or as a result of an employer’s instructions. It is important to understand what does and what does not constitute overtime to prevent employers from depriving you of a portion of your earnings. Time spent traveling as a part of the employee’s regular duties or as a result of the employer’s instructions. Hours during which the employee is required to be at a worksite or at the employer’s place of business. Time spent working when the employee has been given permission or is expected to work by the employer. Time spent at a worksite or at the employer’s place of business purely for the sake of convenience. Any time spent eating meals, except when the employee is required or permitted to work during that time. Time during which the employee is “on-call,” but is free to pursue their own interests. Contact an overtime attorney to help you determine if you are eligible for overtime pay. If you are a non-exempt employee working more than 40 hours per week, you may be entitled to overtime pay, even if your employer did not directly instruct you to work the extra hours. Under state and federal overtime wage laws, employees must be paid wages and overtime wages for the time they actually work if the employer allows it. Your employer may discipline you if you violate a policy by working more than 40 hours, but your employer may not refuse to pay you for those additional hours. If it does, you may have a legal claim to recover those additional wages. An overtime attorney can help determine if you can collect overtime pay from your employer. When am I Entitled to Receive Overtime Pay? Generally, when an employee works more than 40 hours in one work week, that employee is entitled to at least one and a half times their regular pay for any work performed beyond the first 40 hours. Furthermore, your right to overtime pay cannot be waived through your employment agreement with your employer. If your employer tries to convince you otherwise, talk with an overtime lawyer to figure out your rights. The rate of overtime pay varies depending on the employee’s regular rate of pay. It is calculated by multiplying the employee’s regular rate during a workweek by one and a half. An employment contract can provide for overtime pay rates in excess of this amount, but may not use a rate lower than one and a half. An overtime lawyer will consult all eligible overtime wage laws to determine what, if any, overtime pay you are entitled to. Your overtime lawyer can help you file the necessary claim to collect back pay that you were denied. It is important to note that just because your employer has classified you as exempt does not mean that you are actually exempt from overtime. In the past decade, it has come to light that many employers big and small have failed to properly classify their employees pursuant to overtime laws. To determine if you have been properly classified, you should contact an overtime attorney immediately. Which Employees are Eligible for Overtime? The Fair Labor Standards Act (FLSA) divides workers into two categories of workers for the purposes of wages and overtime pay: those who are exempt from federal wage and overtime requirements and those who are not exempt. It is not uncommon for employers to accidentally or deliberately misclassify their employees as being exempt when they are in fact not exempt from federal and state wage laws. If you are an employer, make sure that your employees are properly classified to avoid being penalized, litigated against or both. Similarly, if you are an employee who is currently not receiving overtime pay because your employer classified you as exempt, you may want to double check your employer by making sure you are appropriately classified in accordance with federal and state laws and regulations. An overtime attorney can help both employers and employees make sure employees are properly classified. Do Subcontractors Get Paid Overtime? Generally under Pennsylvania overtime wage laws, all non-exempt employers must pay their employees time and a half (1.5x) pay for each hour spent working in excess of forty hours per workweek. Pennsylvania’s Minimum Wage Act (PMWA) and the FLSA explicitly guarantee certain types of employees overtime compensation. Emergency personnel including police, firefighters and paramedics are specifically covered by the FLSA. Additionally, certain classes of employees who would otherwise be exempt from overtime wage laws are explicitly covered, such as paralegals and some nurses. An experienced overtime attorney is familiar with the classifications and can let you know if you are entitled to overtime pay. Even if an employee seems otherwise qualified for overtime pay, he or she may not be entitled to overtime compensation. The law exempts employers of certain types of workers from having to pay their employees overtime. However, even if an employer is exempt under Pennsylvania overtime wage laws they may still be required to pay their employees for overtime under the FLSA, a federal law. Consulting with an overtime attorney will ensure you are being properly compensated according to both state and federal overtime wage laws. Most professional, executive, and administrative positions such as managers and human resources personnel are exempt from overtime requirements. Exceptions depend on the type of work actually being done by the employee. For instance, even though managers are usually exempt from overtime requirements, they will be eligible for overtime if the amount of non-administrative work they perform exceeds a certain threshold. A fast-food manager who spends the majority of his or her time preparing food rather than performing administrative duties may be eligible for overtime regardless of his or her official title. It can be difficult to determine if you are an exempt employee who can collect overtime pay, but an experienced overtime attorney will help you with this determination. Administrative Exemption: If you perform office or non-manual work that is directly related to management or the general business operations of your company or their customers, and you are regularly required to use your independent judgment and discretion about significant matters, then you might be exempt. An administrative assistant who is the CEO’s right hand is probably exempt, but the secretary to a mid-level manager probably is not. Learned Professional Exemption: This exemption includes doctors, lawyers (not paralegals), dentists, teachers, architects, clergy, RNs (not LPNs), engineers, actuaries, scientists (not technicians), pharmacists, and other learned professions (usually requires an advanced degree). Executive Exemption: If you’re salaried and your employer does not take improper deductions, then you are exempt if you supervise two or more employees, if management is your primary job, and if you have genuine input into the hiring, promotion and firing of your subordinates. Pennsylvania and federal law also exempt particular categories of employers from having to pay their employees overtime. In many cases, exemptions apply to employees who keep irregular hours due to the nature of their work. 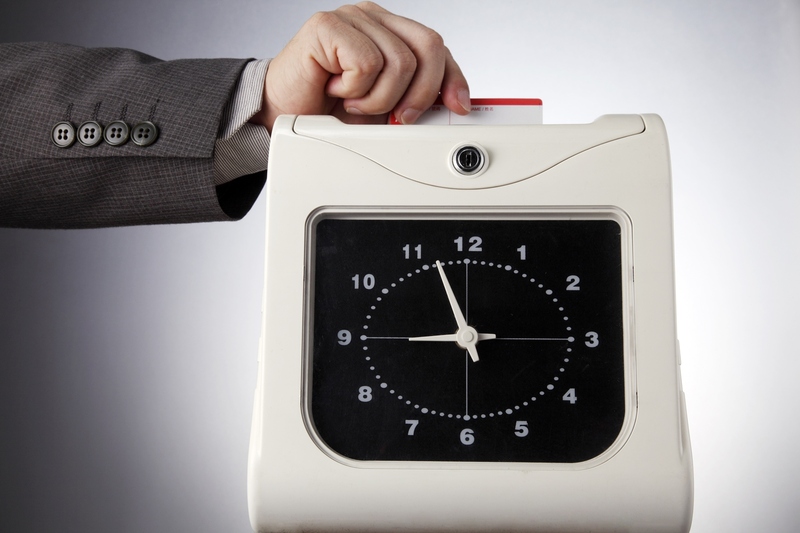 Are You Misclassified Exempt For Overtime? Can a Salaried Employee Earn Overtime Pay? Even if you are salaried, you are still not exempt from overtime unless you also have exempt job duties. Salaried employees fall into two categories, exempt (not overtime eligible) and non-exempt (overtime eligible). If you believe you have been incorrectly categorized, consult with an overtime lawyer. Employers who are not sure how to categorize employees should talk with an overtime lawyer as well to make sure they are in compliance with all applicable overtime wage laws. Employers often intentionally misclassify employees as salaried workers who are exempt from receiving overtime in order to save money. To be “exempt”, an employee must generally be an executive, administrative, or professional employee. Companies will try to fit employees into these categories even where overtime wage laws do not allow for it. Some employers do not understand the difference between exempt and non-exempt employees. These employers should talk to an overtime attorney to make sure they are following all applicable laws. How Do I Handle Retaliation For An Overtime Complaint? It is illegal for employers to retaliate against employees who request overtime pay from their employers, complain about not receiving overtime pay, or take any legal action to collect overtime wages, including contacting an overtime attorney. Unlawful retaliation like this might include reducing hours, taking away privileges or terminating an employee. Unlawful retaliation is a separate violation under the FLSA, so an employer who retaliates against an employee who lawfully pursues his or her rights may be liable for additional damages. Consulting with an overtime attorney will help you determine what, if any, claims you can bring against your employer. If your employer or former employer did not pay you time and a half for overtime and you are not exempt from federal and state wage law requirements, we can file a claim to recover your unpaid wages. If the wage payment case against your employer is successful, the court will make the employer pay for the fees of your overtime attorney. Often the court awards liquidated damages, or double the damages in unpaid wage cases. If the unpaid wages are more than thirty (30) days overdue, you may recover damages on top of those unpaid wages in the amount of 25% of the sum total amount of unpaid wages or $500, whichever is the greater amount. When Should I Contact an Overtime Lawyer? You may not need to contact an overtime lawyer right away. As soon as you believe you are not being compensated according to overtime wage laws, talk with your employer. It may be possible for you to resolve the issue without involving an overtime lawyer. An overtime lawyer would be helpful if your employer does not respond to your concerns about incorrectly calculating overtime pay. Additionally, if you believe your employer is intentionally not paying you overtime, an overtime lawyer should be consulted. Generally, an overtime lawyer is helpful in a situation where you do not believe you can resolve the issue on your own. You may want an overtime lawyer to help you understand complicated overtime wage laws. An overtime lawyer may be needed to explain employment terms. Another thing an overtime lawyer could be useful for is to check contract terms for compliance with overtime wage laws. An overtime lawyer may be able to get you a higher settlement amount. By knowing all of the possible claims that you may file, an overtime lawyer increases the likelihood that your claims will be successful. Employers may want to utilize an overtime lawyer as well. An overtime lawyer can help an employer prove why their method of paying/classifying employees is in compliance with overtime wage laws. If an employer believes that an employee is bringing an incorrect claim against it for overtime pay, an overtime lawyer should be hired on behalf of the company. Why Should I Hire an Overtime Attorney? An overtime attorney has spent time learning the overtime wage laws and has become familiar with them. This familiarity allows an overtime attorney to identify possible claims that you may be able to file against your employer. It also allows an overtime attorney to determine if you were incorrectly classified as an exempt or non-exempt employee. When dealing with overtime wage laws, you need to be aware of the proper venue to file a claim; an overtime attorney is knowledgeable in the nuances of filing claims. There also may be statute of limitations issues that an overtime attorney is aware of. By working with an overtime attorney you can make sure that your claims will be in compliance with what overtime wage laws require. An overtime attorney is experienced in investigating potential claims. When examining employer policies, an overtime attorney can determine if the policy is illegal. An overtime attorney can investigate how similar employees are paid at the same company. Additionally, an overtime attorney will be able to let you know if you have any potential claims under other laws or statutes. By hiring an overtime attorney, your potential recovery amount is maximized. An employer can use the services of an overtime attorney as well. By making sure that company policies are in compliance with overtime wage laws, an overtime attorney can save an employer the headache of a lawsuit later. Incorrectly classifying employees can lead to an employer owing huge amounts of back pay later. Having an overtime attorney check to make sure employee classifications are in line with what overtime wage laws dictate, a company can avoid claims from multiple employees later on. In short, consulting with an overtime attorney can save a company all sorts of headaches. Which Employees are Eligible for Overtime? Eligible for Overtime The Fair Labor Standards Act (FLSA) divides workers into two categories of workers for the purposes of wages and overtime pay: those who are exempt from federal wage and overtime requirements and those who are not exempt. It is not uncommon for employers to accidentally or deliberately misclassify their employees as being exempt when they are in fact not exempt from federal and state wage laws. Do Subcontractors Get Paid Overtime? Generally under Pennsylvania overtime wage laws, all non-exempt employers must pay their employees time and a half (1.5x) pay for each hour spent working in excess of forty hours per workweek. Pennsylvania’s Minimum Wage Act (PMWA) and the FLSA explicitly guarantee certain types of employees overtime compensation. Emergency personnel including police, firefighters and paramedics are specifically covered by the FLSA. Not Eligible for Overtime Even if an employee seems otherwise qualified for overtime pay, he or she may not be entitled to overtime compensation. The law exempts employers of certain types of workers from having to pay their employees overtime. However, even if an employer is exempt under Pennsylvania overtime wage laws they may still be required to pay their employees for overtime under the FLSA, a federal law. Consulting with an overtime attorney will ensure you are being properly compensated according to both state and federal overtime wage laws. Exempt from Overtime Most professional, executive, and administrative positions such as managers and human resources personnel are exempt from overtime requirements. Exceptions depend on the type of work actually being done by the employee. Administrative Exemption: If you perform office or non-manual work that is directly related to management or the general business operations of your company or their customers, and you are regularly required to use your independent judgment and discretion about significant matters, then you might be exempt. An administrative assistant who is the CEO's right hand is probably exempt, but the secretary to a mid-level manager probably is not. Learned Professional Exemption: This exemption includes doctors, lawyers (not paralegals), dentists, teachers, architects, clergy, RNs (not LPNs), engineers, actuaries, scientists (not technicians), pharmacists, and other learned professions (usually requires an advanced degree). Executive Exemption: If you're salaried and your employer does not take improper deductions, then you are exempt if you supervise two or more employees, if management is your primary job, and if you have genuine input into the hiring, promotion and firing of your subordinates. More Possible Exemptions from Overtime Pennsylvania and federal law also exempt particular categories of employers from having to pay their employees overtime. In many cases, exemptions apply to employees who keep irregular hours due to the nature of their work. your employer cuts your pay if you miss part of the work day, your employer deducts paid time off from your leave bank or PTO if you miss work, your salary is reduced if there is no work or if work is slow, your salary is docked for missed full days due to disciplinary suspension, sick days, or personal leave Even if you are salaried, you are still not exempt from overtime unless you also have exempt job duties. Salaried employees fall into two categories, exempt (not overtime eligible) and non-exempt (overtime eligible). If you believe you have been incorrectly categorized, consult with an overtime lawyer. Employers who are not sure how to categorize employees should talk with an overtime lawyer as well to make sure they are in compliance with all applicable overtime wage laws. Why Would My Employer Pay a Salary if I am Entitled to Overtime? Employers often intentionally misclassify employees as salaried workers who are exempt from receiving overtime in order to save money. To be “exempt”, an employee must generally be an executive, administrative, or professional employee. Companies will try to fit employees into these categories even where overtime wage laws do not allow for it. How Do I Handle Retaliation For An Overtime Complaint? It is illegal for employers to retaliate against employees who request overtime pay from their employers, complain about not receiving overtime pay, or take any legal action to collect overtime wages, including contacting an overtime attorney. Unlawful retaliation like this might include reducing hours, taking away privileges or terminating an employee. Unlawful retaliation is a separate violation under the FLSA, so an employer who retaliates against an employee who lawfully pursues his or her rights may be liable for additional damages. Consulting with an overtime attorney will help you determine what, if any, claims you can bring against your employer. How to Recover Unpaid Overtime Wages If your employer or former employer did not pay you time and a half for overtime and you are not exempt from federal and state wage law requirements, we can file a claim to recover your unpaid wages. If the wage payment case against your employer is successful, the court will make the employer pay for the fees of your overtime attorney. Often the court awards liquidated damages, or double the damages in unpaid wage cases. If the unpaid wages are more than thirty (30) days overdue, you may recover damages on top of those unpaid wages in the amount of 25% of the sum total amount of unpaid wages or $500, whichever is the greater amount. When Should I Contact an Overtime Lawyer? You may not need to contact an overtime lawyer right away. As soon as you believe you are not being compensated according to overtime wage laws, talk with your employer. It may be possible for you to resolve the issue without involving an overtime lawyer. An overtime lawyer would be helpful if your employer does not respond to your concerns about incorrectly calculating overtime pay. Additionally, if you believe your employer is intentionally not paying you overtime, an overtime lawyer should be consulted. Contact KM&A An overtime attorney has spent time learning the overtime wage laws and has become familiar with them. This familiarity allows an overtime attorney to identify possible claims that you may be able to file against your employer. It also allows an overtime attorney to determine if you were incorrectly classified as an exempt or non-exempt employee.